The Seymour Cray Computer Engineering award is one of the IEEE Computer Societys highest awards, and is presented in recognition of innovative contributions to high-performance computing systems that best exemplify the creative spirit demonstrated by Seymour Cray. The award consists of a crystal memento, a certificate, and a US$10,000 honorarium. 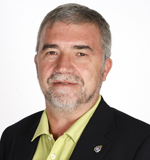 Prof. Valero's research is in the area of computer architecture, with special emphasis on high-performance computers, including processor organization, memory hierarchy, interconnection networks, numerical algorithms, compilers, and performance evaluation and runtime-aware architecture for multicore.